Book a last minute break with us and save 40%. With food that has just been awarded 2 AA Rosettes and beautiful Blenheim Palace on the doorstep, come and relax in one of our gorgeous rooms. Take advantage of this last minute deal - 40% discount. Rooms from just £66 for 2 people. Unlock these special rates by entering SAVE40 at the bottom of the rooms page. Valid on Sun-Thurs stays until 30th April 2019 - subject to availability. Valid on our B&B rate only. 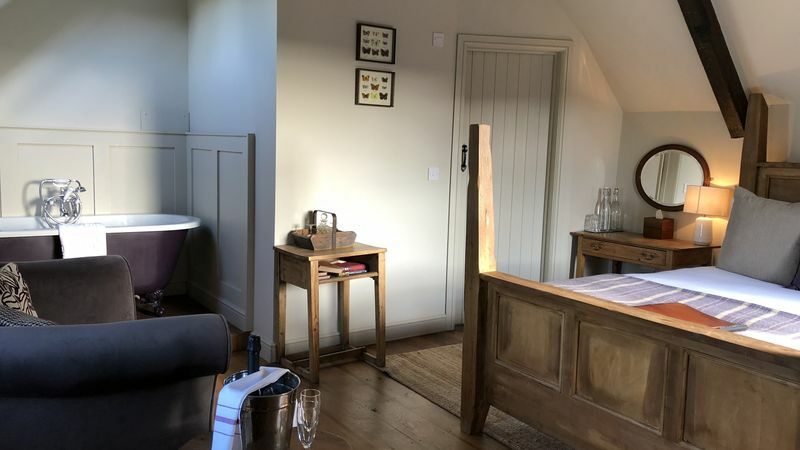 Escape to the Oxfordshire Cotswolds for a wonderful winter getaway and take advantage of our fantastic THREE nights for the price of TWO offer! During your stay, why not experience the majestic Blenheim Palace, enjoy the charm of the Cotswolds or indulge in some retail therapy at nearby Bicester Village. Extend your weekend with our NEW Sunday Roast & Room offer from just £99. Indulge in a mouth-watering Sunday Roast (if you're a vegetarian our chefs create a fabulous Nut Roast) with all the trimmings in our award winning restaurant as well as an overnight stay in one of our luxury bedrooms…all because we firmly believe that weekends were meant to be three days long! Foodies love our locally-sourced produce, organic ales (yes we brew our own!) and heart-warming hospitality that sees guests coming back time and time again. We promise a Oxfordshire Cotswolds break to dine for! Valid 7 nights a week throughout 2019, £25 per person dinner allocation is for food only, beverages not included. 2 night minimum stay required on Friday & Saturday nights - dinner included on your first night.